After going through a season of feeling overwhelmed with life and not taking time to read even one book in 2014, this former book lover made a goal in 2015 to read 1 book each month. I believed that making time to read both nonfiction and fiction, even in busy seasons, would be important to help me feel like I had time to enjoy life, build into my life with new concepts, and expand my thinking beyond my little world. embracing all reading forms: ebooks, print books, and audio books. So the 31 books covered all areas- shorter ebooks, audio books (after discovering this library app last summer that made it cost-effective), fun novels and non fiction books to grow me professionally and spiritually. I fully admit to the list being eclectic, but they represent my tastes and life – and you won’t find dark, disturbing, or morally corrupt books. There’s enough of that in real life (and hard to avoid it to some level in tv and movies…) and I don’t feel a need to fill my head with any more. I wrote my thoughts about most of the books I read in our weekly Three Things posts, and I thought it would be fun to put them all together for you in one place, along with my thoughts. Warning: this is long (because it’s, like 31 books, yeah! ), but full of good stuff, I promise. (In fact, it ended up being too long for my top 5 picks I had planned to include here, too, so look for that coming up next). Where has this been all my painting life? Of course you can’t help but find shortcuts and easy ways to do things when you paint a lot, and I have, too (no-tape painting tip here, my discovery of the easiest way to paint turned legs on furniture here), but I’m always looking for new tips and tricks. And this book delivers! My favorite tip? Use a big, old mug from the thrift store to hold your paint – there’s a handle to hold instead of trying to grip my go-to plastic yogurt container. *slaps forehead* Why have I never thought of that? Sometimes it really is the little things. “Jesus was not self-less. He did not live as if only other people counted. He knew his value and worth. He had friends. He asked people to help him. At the same time Jesus was not self-ish. He did not live as if nobody else counted. He gave his life out of love for others.” (emphasis mine) This is the mature, healthy true self we should all aim for, right? What a sweet, fun, and inspiring read this is! 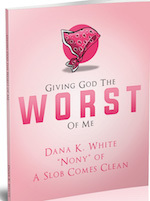 Giving God The Worst of Me, from my friend Dana, tells the story of her adult life (well, a shortened version) and what led her to start her popular blog, A Slob Comes Clean and write helpful ebooks like Drowning in Clutter? and 28 Days to Hope For Your Home. I’ve always appreciated her sense of humor and it’s in full force in this ebook, as well as deeply moving truth of how it sometimes is scary to be truly authentic – but that’s usually where we can be used the most and find the most fulfillment. The best part? She’s actually giving this ebook from her heart away for FREE. Go here to download yours. I had read about this on a number of ‘best of 2014″ lists and when the Kindle version went on sale I grabbed it. It is a pretty quick, fictional read with interesting characters…but I didn’t get the “best of” part that I’d read on all those lists. I didn’t care for it at all – the selfishness of the character we are supposed to sympathize with left me with a bad feeling for days (seriously.). I could go on, really, but I won’t since I seem to be in the minority. 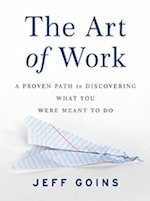 I can’t recommend it, but I’ll leave it up to you, if you choose to read it (note: see more on this in the Art of Work review below). More people are watching your life and…are gaining strength in their own lives and in their own challenges because of what you’re going through. I promise you: your life matters, your life is significant, and things are happening that you don’t even fully understand yourself. No matter what happens in our lives, we cannot know all the ramifications of that – and what better, amazing things could come out of something we didn’t plan – if we just give up because all we can see is ourselves. Let’s celebrate these lives and look to them for our examples – the beauty of a life well-lived. 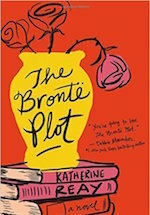 I added this to my list from a recommendation I saw on Modern Mrs. Darcy. Apparently it is some people’s favorite book ever written. I appreciated the well-written story and it’s view from the narrator’s perspective years later (it’s like he’s telling you a story from his memory as a boy), but I didn’t find it very emotional, especially given it’s emotional storyline. I just never connected with the characters and found myself just trying to get through it to see how it ended. 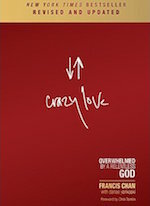 “God has called us each to live faithful and devoted lives before Him, by the power of His Spirit. You do not need to preach to your pastor or congregation; you simply need to live out in your daily life the love and obedience that God has asked of you.” Oh, that I would remember this each day! Gilead is another book I bought based on a couple of blogger’s recommendations (“best book ever,” “so well written,” etc…) that has literally been painful for me to wade through. I just haven’t been able to get into the story with the way it’s written (no chapters, hello?) all in diary form – except when the writer has pages of quoted conversations- who ever would remember all that to write in a diary? Sheesh. I guess I’m supposed to figure things out. Not really happening. The bummer is this was the beginning of a trilogy that I was looking forward to. Well there are plenty of other books I’ve got on my list. Brian and I read this as part of a Boundaries class at our church. We’d been conflicted this year about our responsibilities to our families- what is loving vs. enabling, etc., and this is helping Brian and I to determine, biblically, what our job is and how to love our family in the right way. 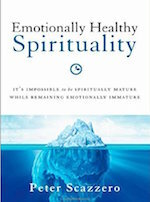 If there is one book on this list that I think everyone would benefit from, it’s this one. I highly recommend it and the class if you have one available. It answers a lot of questions, especially around the issues of parenting, dealing with adult kids, aging parents, and friendships. 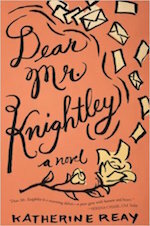 Dear Mr. Knightly is a fun little book I completely enjoyed (finally a blogger recommendation I could get behind!). Nothing too heavy and written in a letter format, which I like since it’s great for being able to read a bit here and there. I thought it was going to be more Jane Austen-ish, but it’s not. The main character just likes Austen and English lit. 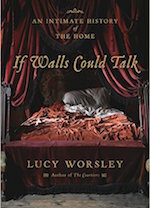 It’s really sweet and clean, full of wonderful insights and emotions, with just the lightest touch of romance. I’ve since read Katherine Reay’s other books, so you’ll find another on this list (I didn’t finish her third until January 2016, though). 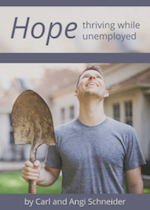 My friend Angi’s book was perfect during our a time of underemployment during 2014-15! I appreciated that it’s not a long, overwhelming book and it’s full of practical things we can do right now. It’s also full of wisdom and encouragement that this is a season that we will get through. This was a free ebook from a bundle purchase, and since I had a chance to hear Tsh at a conference a few years ago, was looking forward to this book on simple steps to simplifying. To be honest, it wasn’t any new information for me, but I appreciated the format and the emphasis on practical things anyone can do. I think someone just starting down a road to simplification, or with young kids (there’s quite a few of the ‘bites’ surrounding them) would appreciate this book a lot. 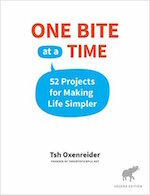 This is a free ebook (with an email sign-up) that is quick to read and gives some ways to help with time management. Michael Hyatt is an industry leader who I’ve followed for years, so it was great to get a peek into his tips and tricks. 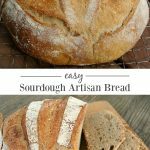 I’m always looking for new ways to streamline my schedule, aren’t you? 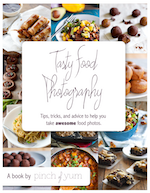 I had been wanting to read Lindsay’s book on food photography for a long time, so it was one of the reasons I purchased the Ultimate Photography Bundle that was available in June. I love that she’s not a professional and her early food photos looked a lot like mine back in the day, haha. 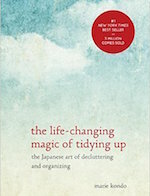 So I can relate, plus she gives very practical to-dos and I learned some good tips and more about using manual. Socks are on a “vacation” in our drawers and aren’t allowed to rest if they’re bundled up in little balls (i.e., hooked together so you can find them…). Empty the entire contents of your purse/bag every night – how would you feel if you had to sleep with all that weight? Greet your house every time you return and thank it for keeping everything while you’ve been gone. And then this, which didn’t make me laugh, but just feel sorry for her: she says she was a lonely child and felt her first unconditional love from her personal objects. Oh gosh, that’s just sad, right? So the takeaway is: take the good stuff and leave the rest. And remember – she’s not married or a mom, and her job is tidying. Whenever she’d say, “that may seem like a lot of time (for this little thing)” I’d remind myself of this! This is the book where I learned another drawback of audio books: the reader of this audiobook was terrible! He reminded me of those 20/20-48 Hours show hosts who say things in such a way as to sensationalize it for ratings or something. Ugh. This book though, is meant for controversy, I think. You can see it in the Amazon ratings – people either love it or hate it. 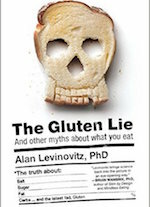 And the author is NOT saying that there is no celiac disease or true gluten sensitivity (the history of celiac disease was super interesting – the best part of the book, I thought), just that anti-gluten has gotten out of hand (which I do agree with – sheesh, the bottle of lemonade I bought the other day had “gluten free” written in big letters on it, wha-ha?). He talks about the history of a lot of food fads, which I also found really interesting. You all know I’m a firm believer in moderation in all types of food – that’s how I’ve reached my healthiest weight ever and I’m rarely sick. So that’s another thing I agree with the author about. BUT, I do think our American diet is heavy on sugar and grain-based carbs, and he seems to think none of it matters – just eat anything you want. I believe that changing what we eat can make a big difference to our lives. That’s why just going to a real, whole-foods diet can make huge changes for people. Sometimes, though, that change to a whole-foods diet was brought on by an issue and gluten (sugar, fat, etc.) was the thing that became the focus. 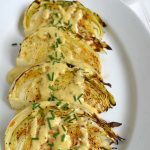 Better health and wellness resulted – but was that due to the lack of a specific food or the fact that the diet was overall healthier than previously? Is it short term? Sustainable? Able to translate to others? This is why nutrition science is so difficult. And this is one of the things I got from the book: nutrition science is one of the hardest sciences since it is almost impossible to not have a lot of things happening at once. And it’s anecdotal. And based on our recollection. And memories. And highly influenced by the placebo affect (which I think is real and a good thing, not bad, if it helps wellness – I see it as a way of our mind helping our bodies!). And I think it’s wise to always, always be leery of people who stand to make a lot of money from their point of view – especially when it’s not backed up anywhere else. Am I endorsing this book? No – I especially didn’t appreciate his take on myths and religion – but you may want to check it out from the library and skim through the history parts, they really are very educational and eye-opening. I found this book while browsing through the my library app and since I am a history fan (it was one of my majors in college, actually), I decided to listen while I did some canning. It’s a British book, so it’s focus was on English history, but that’s basically Western Civ, so it covered a lot. 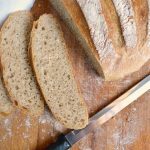 It goes into details about things that aren’t usually mentioned in history books: what people ate in different eras, what they wore, what they slept in, what their housing looked like, etc. Sometimes it got a little too personal, if you get my meaning, a-hem. Fast-forward button proved useful there. 🙂 All in all, though, I enjoyed it and it made me very grateful for the ease we experience in these areas today! 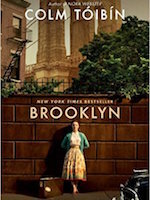 The trailer for the movie based on this book, about an Irish immigrant in 1950s Brooklyn, made it seem like a fun, feel-good kind of read, but it was just okay in my view. This is one book that I might enjoy better as a movie since the trailer seemed to have more life and fun to it than the book did. I’ve read a TON about this book over the years and have wanted to read for a long time. This was another library app find and I’m so glad I listened! Wow, is this book packed with ideas and inspiration. In fact, I bought the Kindle version and had Brian listen, so that’s a good endorsement, right? 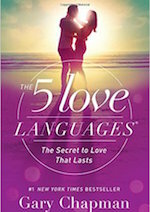 I have heard so much about The Five Love Languages that I wasn’t sure there was anything left to know, but I’m glad I listened to the book. It’s not long and it’s inspiring to see how learning what our love language is – and our loved ones – has helped people so much. It immediately sparked a conversation in our house about what we thought each of our love language was, which was great, I think! Wondering what mine is? It’s super easy, no one had a doubt: acts of service. My kids especially, since they grew up hearing stuff like, “all I want is help with ________” for every Mother’s Day or birthday (or whenever, ha!). 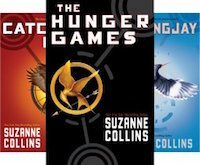 When I saw The Hunger Games trilogy available in the library audio app, it seemed like a fun way to pass the height of the canning season. My daughter had read it in middle school and tried to get everyone she knew to read it, she liked it so much. It’s definitely not something I would sit down to read, but listening? It’s like a TV show or movie, but longer and really made the time pass more quickly. This is popular for a reason – it’s a well-written good read, though the dystopian future with sadistic games is a sad thought. Like any of these types of books, though, it’s about the characters and these are drawn really well. It’s a compelling story that hooks you in with good storytelling. I’ve heard from my kids (who read it years ago with most of their friends) that not many people are satisfied with the last book, and thinking about it, I’d say it’s because there’s not much of a moral conclusion, just kind of an empty “this is life and we don’t have the games anymore” ending. I’m curious to see if the final movie of the trilogy that’s coming out soon changes the ending at all, or at least makes it a bit more satisfying (note after seeing the movies: they actually do make the ending seem nicer and my daughter thought it was better than the book, which is unusual in a lot of book-to-movies!). After reading a couple of nonfiction books I was ready for an easy historical novel and at .99 on Amazon, this sounded perfect (yes, sometimes I’m lured in by the .99 deal…). This was actually better than I thought it would be, with nice attention to historical details, interesting characters, and a sweet romance that didn’t go into too much detail, if you know what I mean. The only bummer was that there is no closure at the ending – we have no idea what happened to the heroine. And this was written a few years ago and doesn’t have a sequel. I did read on Amazon though, that the author is writing a sequel now and said she didn’t know people would want to know what happened (duh…you can’t have your lead character leaving on a train after an argument with her finance and think people aren’t going to want to know, right?). 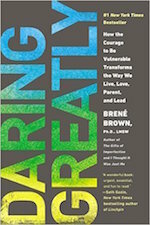 So, so many bloggers and business women have recommended Brene Brown’s books. 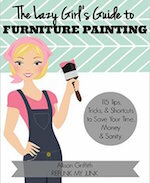 This book was available as an audio book, so I listened while doing a DIY project. I’m kinda embarrassed to say I don’t get it – in fact, I didn’t even finish the book completely, but just fast-forwarded through the last chapters, stopping here and there. I can’t really pinpoint why, but I was just underwhelmed (vulnerability is painful? Um, got that…), I didn’t really think there was anything that great here, and it just came off to me as “me, me, me” since the author repeated very frequently about her expertise, research, etc. 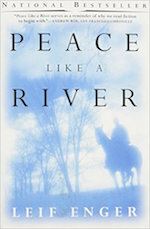 I LOVED this book and recommend it wholeheartedly. Since it’s all about saying NO to some things in order to say YES to the best, it could easily have come off as selfish. 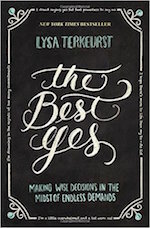 But it’s the opposite – maybe because Lisa provides clear pictures about what can happen when we say NO to something hard – something that may make us look selfish, but in our saying no and NOT taking it on, something more wonderful was allowed to happen. 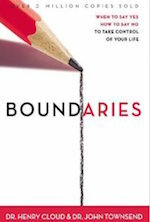 (By the way, this is basically what Boundaries is all about, too!). I’m sure it’s also because it’s faith-based and we’re looking to God for our best Yes and not just what we want for ourselves only. My overall impression was INSPIRING. This is not a blogging book by any means, it is a book for any woman who is working in any field and has a ton of examples from women who are doing all kinds of businesses. 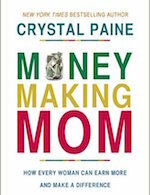 But it’s Crystal’s honesty and real-life examples that bring this book to life. 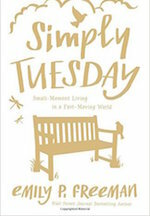 I have always found her to be so relatable and with this book’s balance of inspiration and practical steps, there were many things I could relate to. I also really loved the book’s emphasis on living and working with a purpose – and that’s not just to have the biggest business or best car, etc. To be grateful for what we do have and realize that if we’re succeeding with the goals for our family and able to give to others (time or money), then that’s enough and worth celebrating. This is one of those books I would’ve NEVER have picked because the title sounds a bit creepy to me, but I kept seeing it recommended and I’m so glad I went for it. 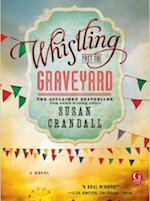 The title just refers to a saying that means to let things you’re worried about not bother you, “whistle past them” (maybe it’s an old southern saying?). The writing is SO GOOD and the author does such a wonderful job of telling the story from the prospective of a 9 year old girl – it’s really amazing. 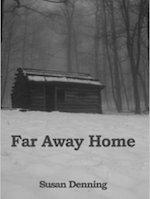 There are heartwarming parts, scary parts, and an exploration of race all set in the south in the early 1960s. I hope you make time for this one. I was able to listen to this while baking Christmas cookies, allowing me to squeeze one last book in before the end of the year, even though it was a busy time. 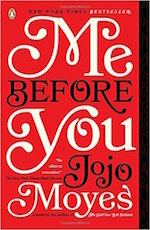 This books was just as sweet as Dear Mr. Knightly, but that book remains my favorite. This one was good, I just didn’t connect with the characters as much. I still recommend all this author’s books, as it’s so refreshing to find someone who’s writing contemporary fiction that is light but still carries deeper meanings – and isn’t full of dark, twisted things. If you’re anything like me, I think you’ll enjoy anything she puts out! a couple of books I picked up this year by mere chance are excellent and very funny reads: The Rosie Project and The Rosie Effect by Graeme Simsion. P.S. Don’t real “We Were Liars” it’s a best seller and it was good until the last couple chapters then complete depressing and I felt weird for days!!! I hate it when I read a book and it leaves me unsettled for days on end. I’m so glad you wrote this post. I’ve been trying to come up with a book list of my own! This helped a lot. You sound a lot like me when it comes to books so I’m glad I got to bypass some of the ones you didn’t like 🙂 I’m sure I’ll enjoy the ones you did recommend and if not I won’t think any less of you;) I really enjoy your blog and I’m glad I found it! 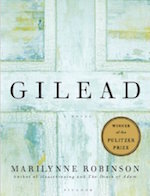 I am so glad to read of someone else who didn’t love Gilead. I read it the other day (yes, I carved out time and read the whole thing in a day) and was disappointed because SO many people RAVED about it. I just… I don’t know. Found it difficult to read. Not in the sense that there were big words I didn’t understand, just that it didn’t flow well for me. Yes, there at the very end I actually had a catch in my throat for the one character and it did seem to wrap it all up (finally), but – eh. Like you, I found Dear Mr. Knightley to be a fun and easy and light-hearted read, and I, too, would classify the Kondo book as weird! 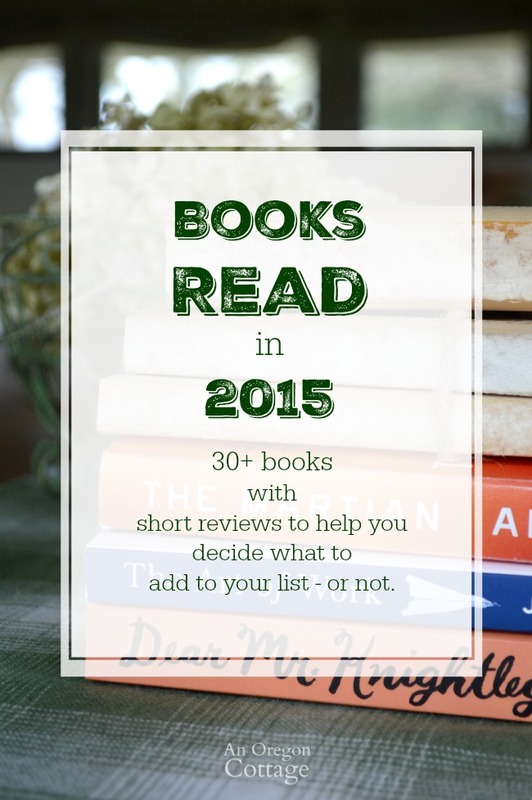 I’ve read quite a few of the others on your list already, but I’m adding 5, 15 and 30 to my “to read list” based on what you’ve written – so here’s hoping! Yeah – I knew there had to be some like-minded people out there, Katrina. 🙂 Ack – and now it’s on me if you don’t like a book (notice how I got a number of blogger recommendations that I didn’t like – now it’s ME! ), but I’m pretty sure you will like those!